St. Andrew’s United Church is one of four churches within the Rexton Pastoral Charge in Kent County, New Brunswick. 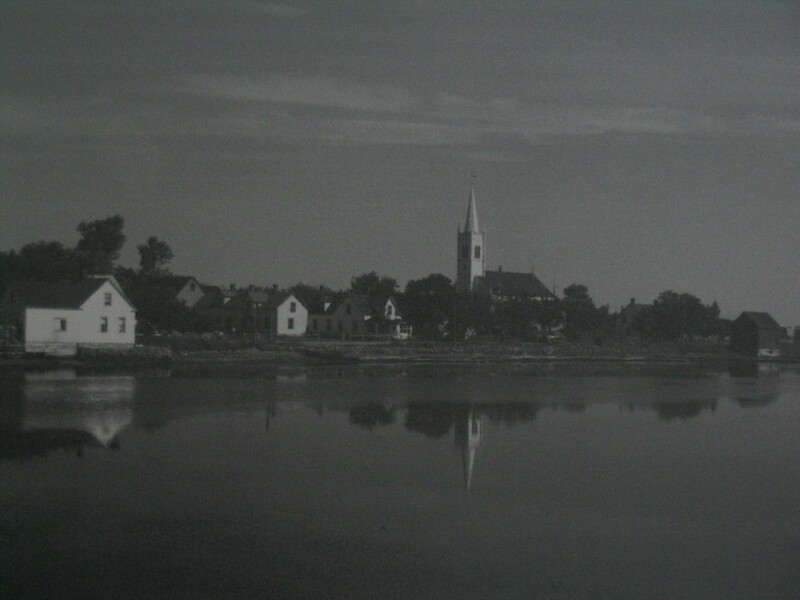 The other three are: St. James in Kouchibouquac, St. John’s in West Branch and St. Stephen’s in Molus River. 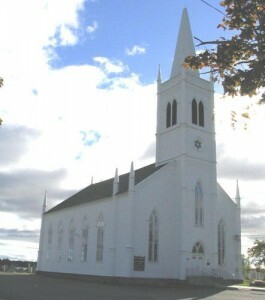 St. Andrew’s stately church building stands on the north shore of the Richibucto River located in the center of Rexton, a community of approximately 860 people. 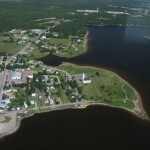 The Bonar Law Common, a Provincial Historic Park, situated along the banks of the Richibucto River, is home to a museum and working farm that serves as a meeting place and honours the Rt. Hon. Andrew Bonar Law, the only British Prime Minister born outside the British Isles. The first St. Andrew’s first church established in Kingston was the Presbyterian. Those Scotch settlers from Dumfries had religious zeal; they missed their Kirk, and shortly after settling in Rexton they built a church and petitioned for a pastor. 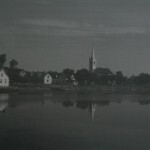 The first preacher of their little church, built on the bank of the river, was the Rev. James Thompson in 1820, an itinerant preacher who served at various points along the Miramichi. The first resident minister was Rev. John MacLean who came to Kingston (Rexton) in 1825 and covered the whole of Kent County. The elders at that time were; George Platt, Samuel MacKean, John Tweedie, Mr. Saunders and Samuel Girvan. Rev. James Hannay of Galloway, Scotland a Minister of the Church of Scotland, was called in 1834 after Rev. MacLean resigned due to illness. 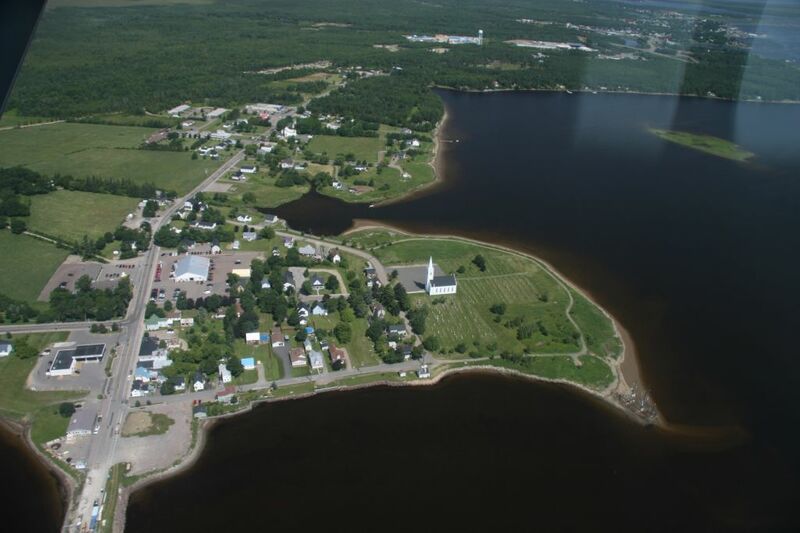 It was learned from a report of his to the Colonial Missionary Society of Glasgow that there were 750 Presbyterians in Kent County of whom 350 were on the Richibucto River and within four miles of the church. The names of John Jardine, William Bell, John Harris, John Robertson and Samuel Robertson were added to the session during Mr. Hannay’s ministry. The next and third minister to arrive was Rev. James Law, M.A., a native of Ballywillan,Ireland. Mr. Law ministered from 1845 to 1877 to the congregation of St. Andrew’s Church. When the old church was destroyed by fire, a new (present) church was erected during 1859 and under the ministry of James Law. This would be the third building to be situated on this site. The first was located near the south gate of the old cemetery. The second building which was destroyed by fire was capable of containing 300 hearers. This building sat approximately 50 yards closer to the river than the present building; about where the large Brait Monument now stands. This present building was constructed on a rectangular plan with a combination of Georgian and Gothic detail, with its 130 ft. spire marking the village skyline. The following is a list of the ministers who have served at St. Andrew’s Church since 1877. It was during Mr. MacQuarrie’s pastorate that on June 10th, 1925, the union of the Presbyterian, the Methodist and the Congregational Church formed the United Church of Canada. Rev. David Jackson was second only to Rev. James Law as for the length of time he served as resident minister to St. Andrews. Mr. Jackson was mostly called Dave with no disrespect intended but rather the way you would address a friend. It is safe to say that “Dave” who was involved in so much and was such a large part of this community, was second to none when it came to the love and respect shown to him, not only by his own congregation, but by all the residents of all different faiths. The first manse is presently a heritage site and operates with period costume guides through out the summer. This site was restored in honour of Bonar Law, Rev. James Law’s son, who became Prime Minister of Great Britain. The second manse, purchased in 1880, known as “Old Kingston Hall” is presently the Village office. If you are interested to read some more details please see the blog post called A Historical Sketch of St. Andrew’s Church.